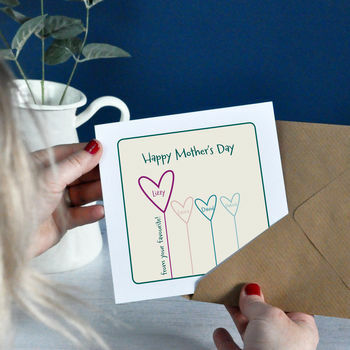 A humorous personalised contemporary family themed mother's day card highlighting the 'favourite' child. 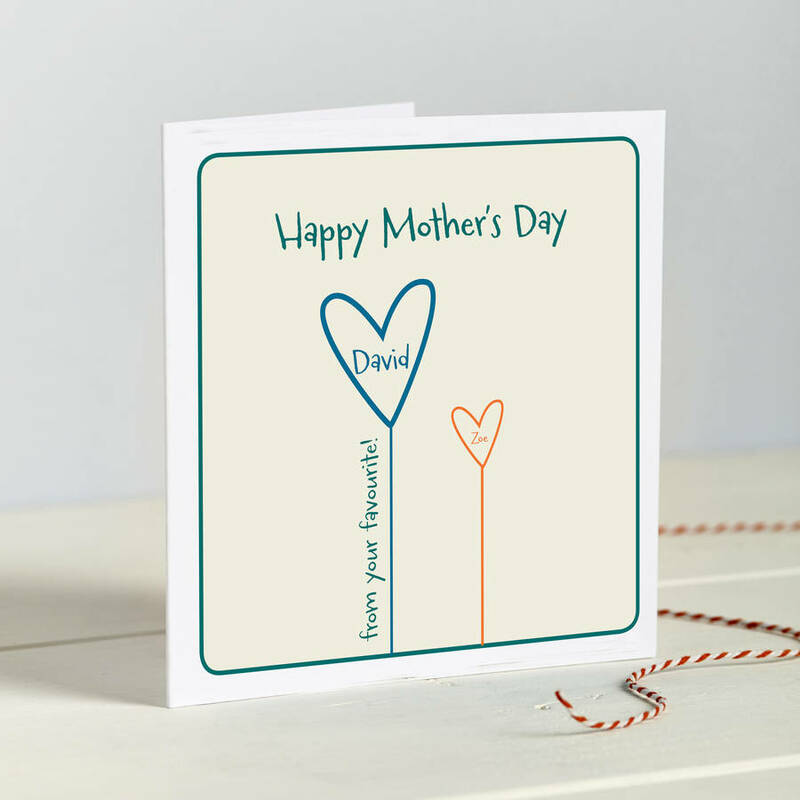 A stylish and modern card detailing the family members. 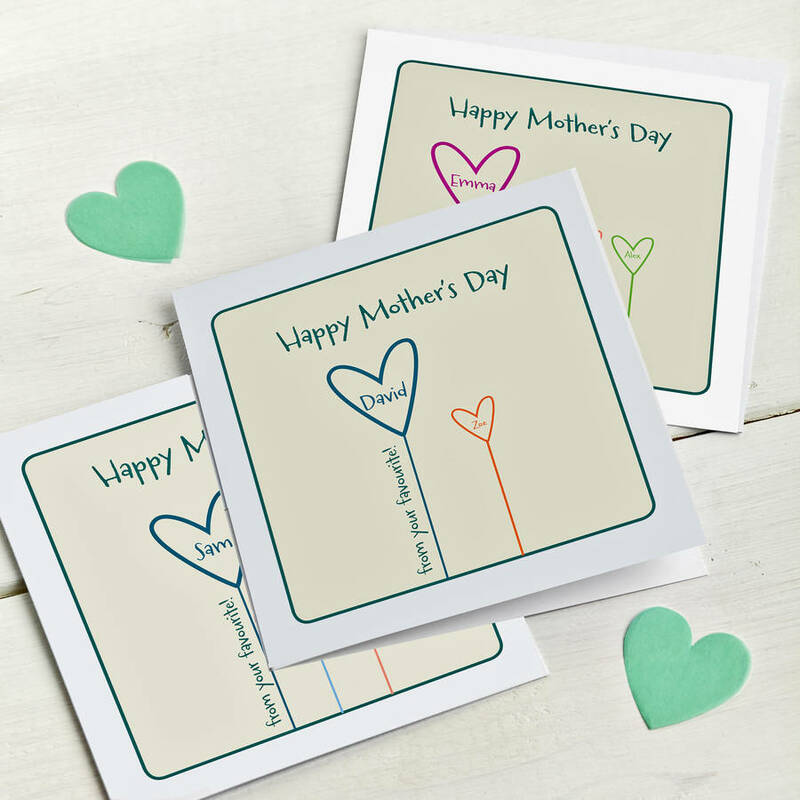 The hearts come in a range of complementary colour shades against a neutral taupe coloured background, this makes an original and striking personalised card that can even be dispalayed after the event. Please add each family member's name and the chosen heart colour in the boxes provided. 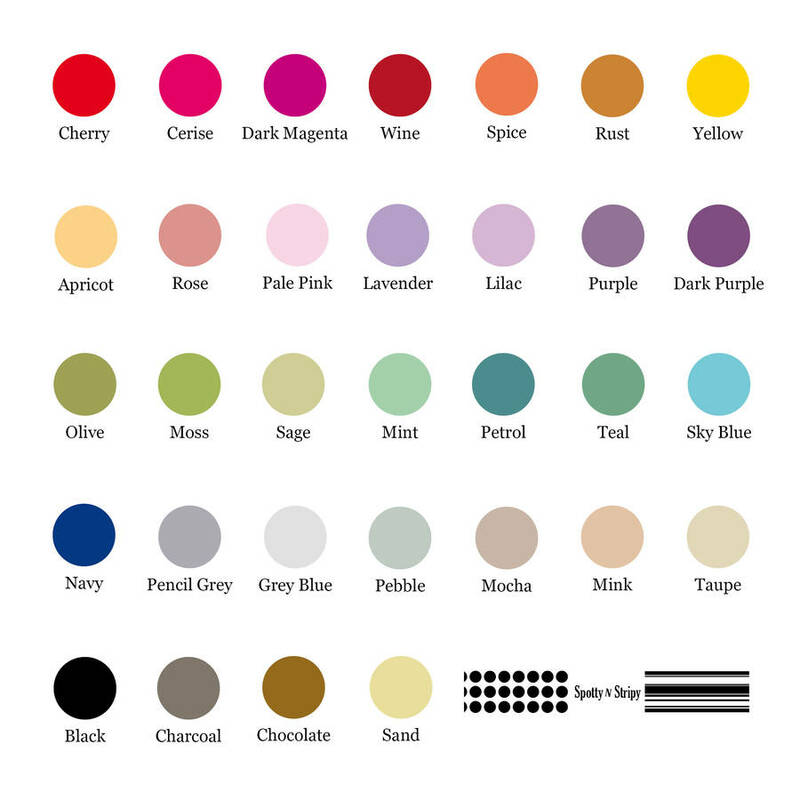 Please enter the colour name as shown on the swatch image for example: Magenta, Royal Blue, Rose, Rust . You can include up to 6 members. The more family members you have the smaller the hearts will become to fit them in. 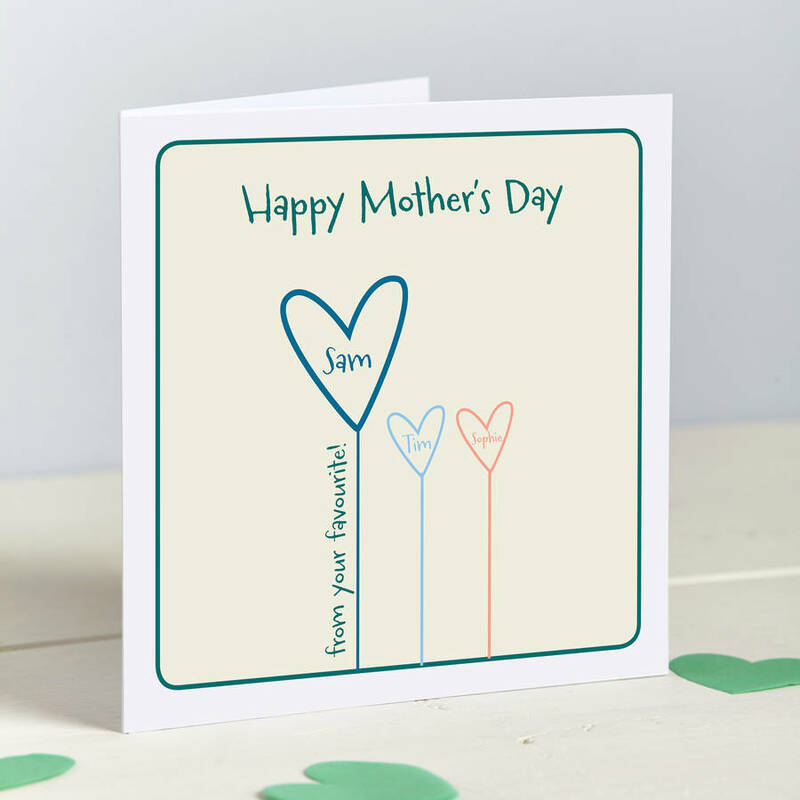 Members will be added from left to right so your first listed choice will be on the left and the first will be the larger heart and name with the 'from your favourite' wording running up the side. 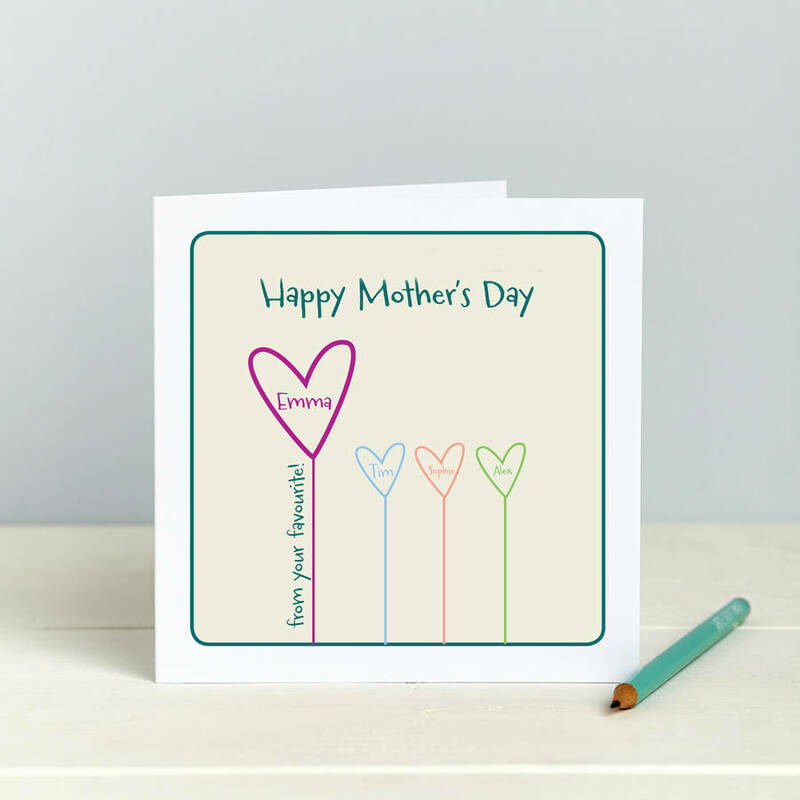 Top of the card reads Happy Mother's Day.